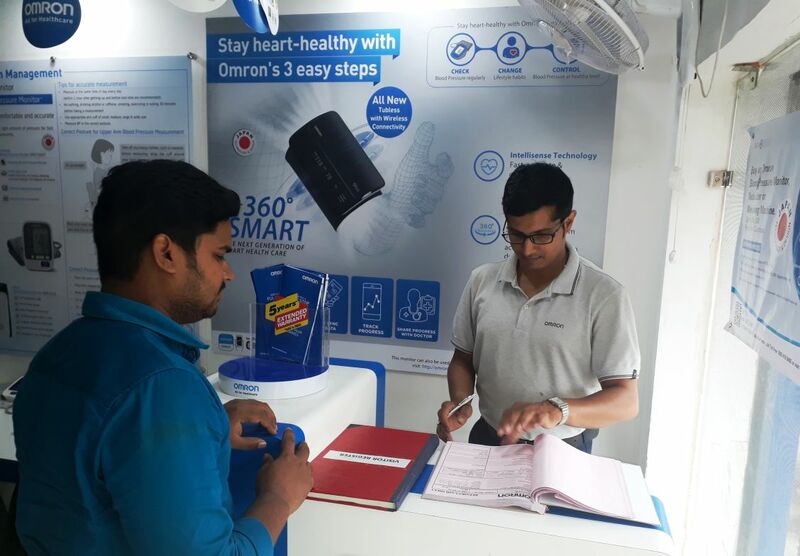 OMRON Healthcare India, the leader in digital blood pressure monitoring segment, announced the opening of 48 Pickup centres in addition to seven existing authorized after-sales Service centres across tier-1 and 2 cities. This strategic move denotes company’s efforts to deepen its reach and connect with the end-customers via strengthening its after sales service infrastructure by introducing unique concepts and adding value to the existing facilities. OMRON Pickup Centres, unique in the healthcare monitoring segment, present walk-in facilities for customers for all of their repair needs. The centres provide the first-level check of product and allow the customers the convenience to get the same picked up after the repair at the nearest service centre thus saving them the hassles of visiting the pharmacies or retailers (from which they had bought the products) and a centralized interface for speedy resolution of their service needs. OMRON Service Centres provide a window to take care of all kinds of customer service issues ranging from re-calibration facilities for BP monitors to in and out-of-warranty product repair services needing advanced technical interventions. The customers are also attended and inducted by team of experts who resolve their queries and give them complete know-how on the utility of OMRON healthcare products. These centres are located at New Delhi, Gurgaon, Mumbai, Bangalore, Cochin, Chennai, and Kolkata. “Preventive healthcare is all set to play a larger role in contributing positively towards the wellbeing of the people of India and this initiative will help us, further, in making a stronger contribution towards the same as a leading player in the healthcare monitoring segment. The expansion is already on and we will have more centers added to the network soon” he added.